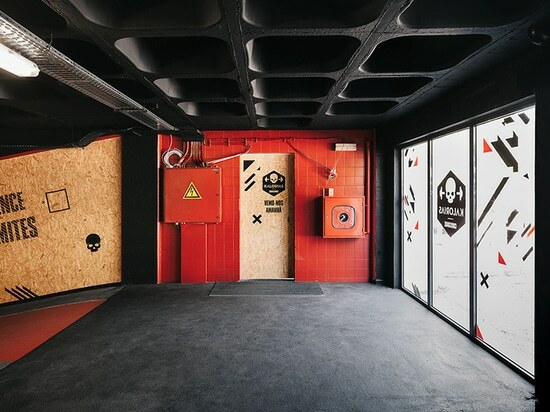 portuguese design practice estúdio AMATAM has recently revamped an existing car workshop unit into a CROSSBOX center, using quite limited resources. 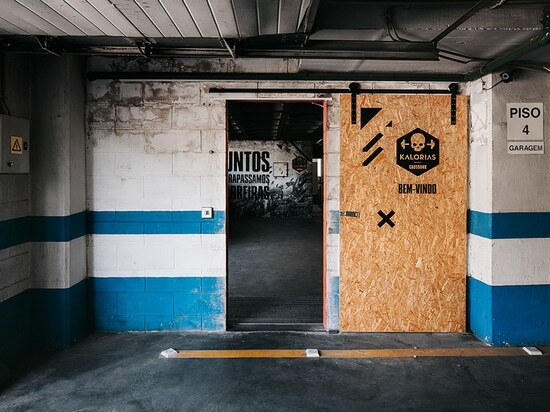 alongside that, a graphic image has been developed for the brand to emphasize the underground spirit of the space – thus motivating the athletes. 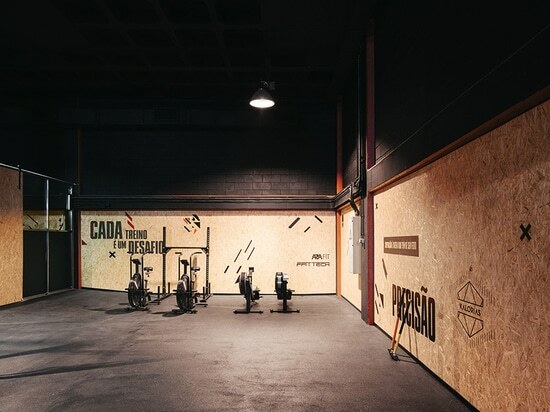 estúdio AMATAM‘s design strategy is simple; the designers have taken advantage of existing architectural elements (ramp, stair case, double high ceiling,walls and pavement) and reshaped them through colors and materials appropriate to training needs. 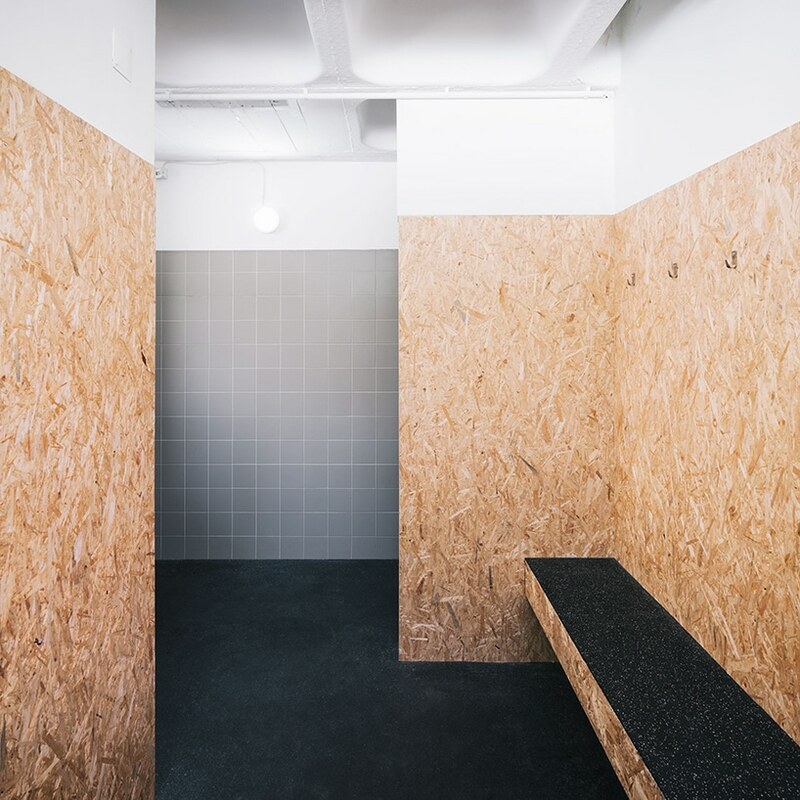 in terms of program, the existing dressing rooms are refurbished, and cabinets are created in the back end of the crossbox space. 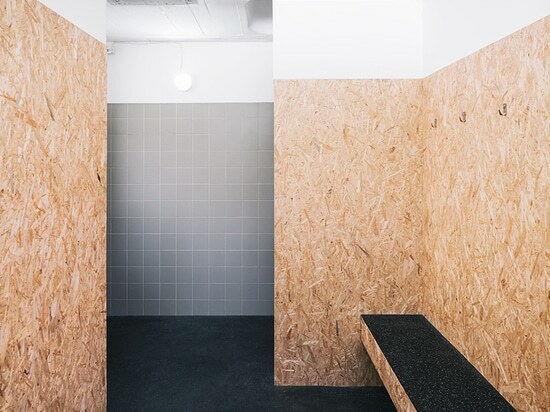 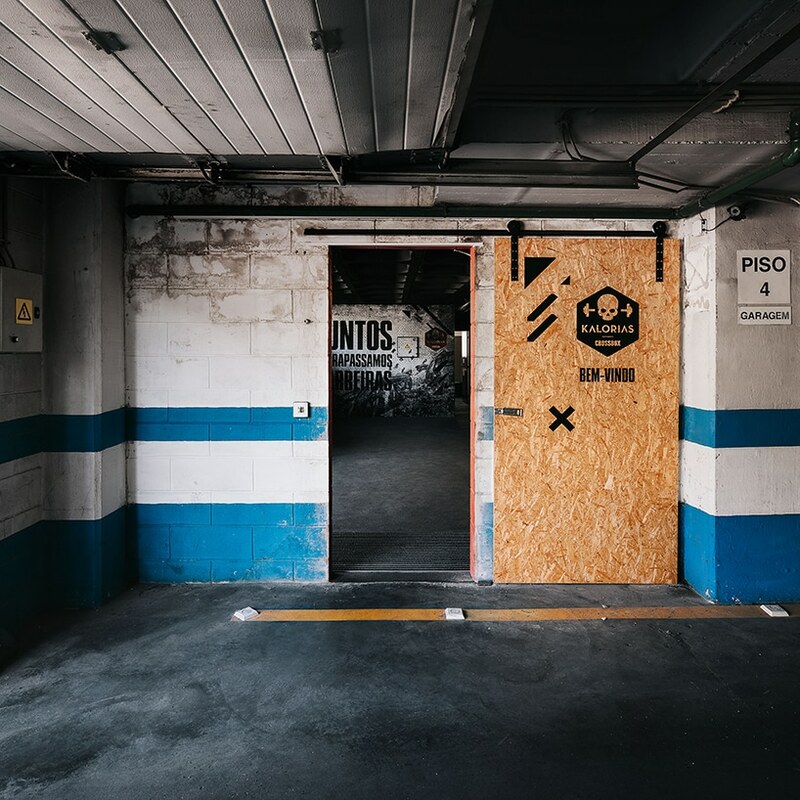 oriented strand boards were used to cover the walls and define the training area, giving a more natural feeling to the industrial space and adding a layer of durability to the walls. 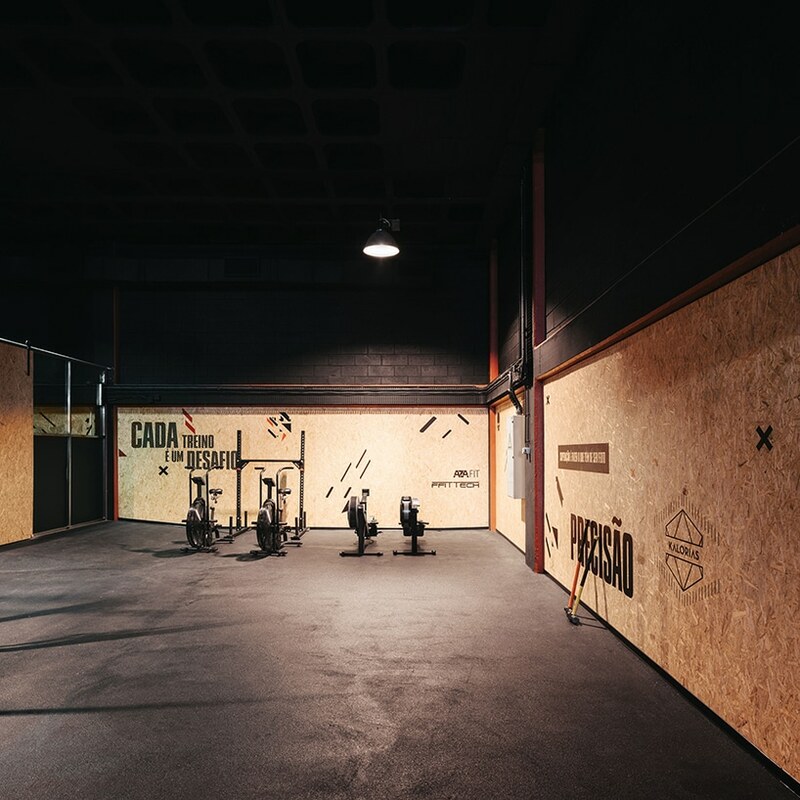 the contrast between black and red help identify important areas in the training routine, and visually play with the scale of the space. 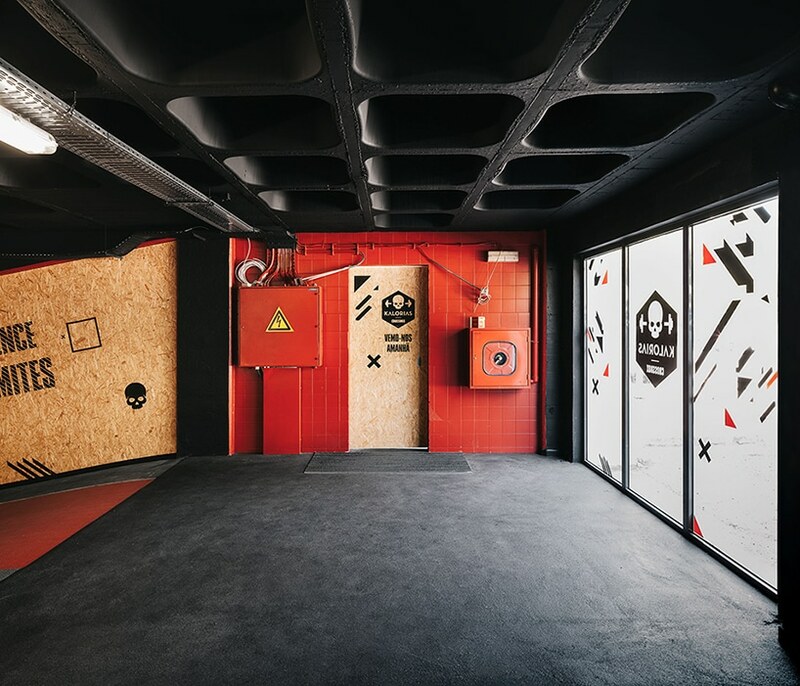 while the black covering of the ceiling and walls intends to minimize the perception of the spatial scale on one side, the red elements intentionally break this relation and reveal the true architectural dimension.